Dr. Djamel Bouchaffra is a Director of Research at the Center for Development of Advanced Technologies. He is currently the Lead of the Design and Implementation of Intelligent Machines Group (DIIM). He was the Associate Director of CDTA from September 2017 to May 2018 and the Head of the ASM division from 2014 to 2017. 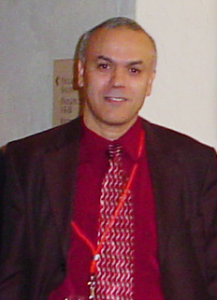 Prior to this appointment, Dr. Djamel Bouchaffra was a Professor of Computer Science at Grambling State University (USA). He started his academic position at Joseph Fourier University, Grenoble (France), and then he held a position of Assistant Professor at Oakland University, Michigan (USA). Professor Bouchaffra was teaching a wide spectrum of courses including machine learning and pattern recognition, artificial intelligence, soft computing and discrete mathematics. Dr. Bouchaffra has been selected as the recipient of the Oakland University Teaching Excellence Award for 2004 (awardees) as well as the recipient of the School of Engineering Teaching Excellence Award. This recognition acknowledges the genuine admiration of his students and his colleagues for his superior level of professionalism in teaching. His personal views on the art of teaching are published in this Oakland University Newsletter link. In February 2005, he was invited by OU-TV "Focus on Faculty Program" broadcasted on Comcast cable channel 74 . 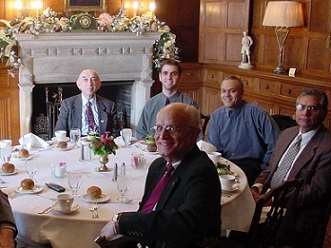 Prior to this appointment, he held a position of Senior Research Scientist at the "Center of Excellence for Document Analysis and Recognition" (CEDAR) located at The State University of New York. He was a technical lead (research director) of different research groups in several federally sponsored projects. His field of research is in Pattern Recognition and Machine Learning, Computational Intelligence, Computer Vision, and Signal Processing. He is currently working on (i) the optimization of Deep Learning (DL) graphical representations and memory-prediction theory of brain (e.g., Hierarchical Temporal Memory) for object perception, and (ii) the design of dynamical models for online big data management. Professor Bouchaffra introduced both the structural and the topological hidden Markov models as two paradigms that attempt to merge topology and statistics for sequential objects recognition. His areas of applications include (but are not limited to) Brain Machine Interface, Remote Sensing, Biometrics, Handwriting Recognition, Language Modeling, Speech Recognition, and Bioinformatics. He is the director of the "Design and Implentation of Intelligent Machines Laboratory". His scholar contribution to this field has been recognized internationnally. He has written several papers in peer-reviewed conferences and premier journals. He chaired several sessions in conferences, he was one of the general chairs of the IEEE conference ICSIT'05 held in Algiers. He also served as a Vice Chair at the 9th International Workshop on Systems, Signal Processing and their Applications (WoSSPA'13). Prof. Bouchaffra is among the reviewer panel of some governmental funding agencies such as NASA (ADP Program: Data Analysis and Astrophysics) and (EPSRC). He is also a regular reviewer for several journals such as IEEE TPAMI, TNN, TKDE, and Image Processing. He is a currently the lead guest editor of a special issue of Pattern Recognition journal (Elsevier) titled:"Machine Learning and Pattern Recognition Models for Change Detection". He was also the lead guest Editor for Pattern Recognition journal titled: "Feature Generation and Machine Learning for Robust Multimodal Biometrics", volume 41, number 3 that has been published in March 2008 as well as Advances in Artificial Intelligence Journal titled: "Machine Learning Paradigms for Modeling Spatial and Temporal Information in Multimedia Data Mining"). He has been an "invited Professor" by University Paris 13 (Laboratoire d'Informatique de Paris-Nord UMR CNRS 7030) for the summer 2010 and 2011. Professor Bouchaffra is an editorial board member of the Journal of "Pattern Recognition" (published by Elsevier), "The Open Information Systems Journal", Bentham Science Publisher, an associate editor for the Journal titled "Advances in Artificial Intelligence" (published by Hindawi Corporation), "the Journal of Engineering Letters " (published by the International Association of Engineers), the "Scientific Journals International" (SJI) and Transactions on Machine Learning and Artificial Intelligence (Society for Science and Education, UK) . Dr. Bouchaffra is a Founding Member of the Algerian Academy of Sciences and Technologies (AAST). He is currently the president of the Computer Science Section of AAST and regular member of the Mathematics Section. He is a senior member of the IEEE, a member of the IEEE Computer Society and the vice chair of the IEEE/SEM chapter V. He is listed in the prestigious Marquis Who's Who in America, and Marquis Who's Who in Engineering and Science.